The National Academy of Sciences has announced that Geoffrey Woodman, associate professor of psychology at Vanderbilt University, will receive a 2016 Troland Research Award. The academy gives two of these $75,000 research awards annually to recognize unusual achievement by young investigators and to further empirical research within the broad spectrum of experimental psychology. Woodman has been working to unite techniques used to study the brain activity in humans with those used in animals, combining intracranial recordings in monkeys with scalp recordings. Such work is helping to bridge the gap between research in humans and primates. Woodman has also made discoveries at the forefront of research on learning and memory. Recently he discovered that a mild electrical stimulation applied to the medial frontal cortex resulted in improved learning and memory for some five hours. These findings also have implications for people with brain disorders. Woodman and his team, for instance, have performed similar research on people with schizophrenia and found that the technique could restore error monitoring—the short but important pause healthy people make after making a mistake. The Troland Research Award was established by a trust created in 1931 by the bequest of Harvard psychologist Leonard T. Troland. 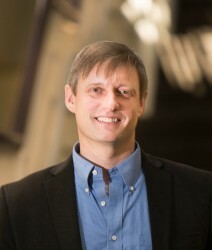 Woodman is the fourth Vanderbilt psychologist to receive the award. Previous award winners are Jeffrey Schall (1998), Isabel Gauthier (2008) and Frank Tong (2010).